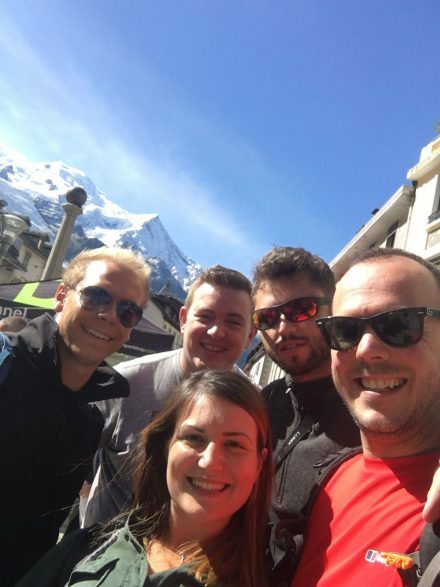 A team of five Brasserie Blanc and White Brasserie employees are en route to the top of Mont Blanc as part of a phenomenal fund raising effort for The Christie Hospital and The Tim Bacon Foundation. Tom Palfreeman, Mikey Cullen, Marcin Jablonski, Margarita Gyurova & William Field passed a rigorous training weekend back in August to find themselves roped together on the side of Mont Blanc this week in heavy snow and unseasonally tough conditions. Morale is high, smiles on faces and they are expected to reach the summit on Tuesday morning.